Link development in it's simplest form can be broken into two key phases; there is a prospecting phase, and an outreach phase. The prospecting phase consists of identifying sites where your site makes sense to be listed or talked about. This is done through competitor research, advanced search operators and compilation of contact information. 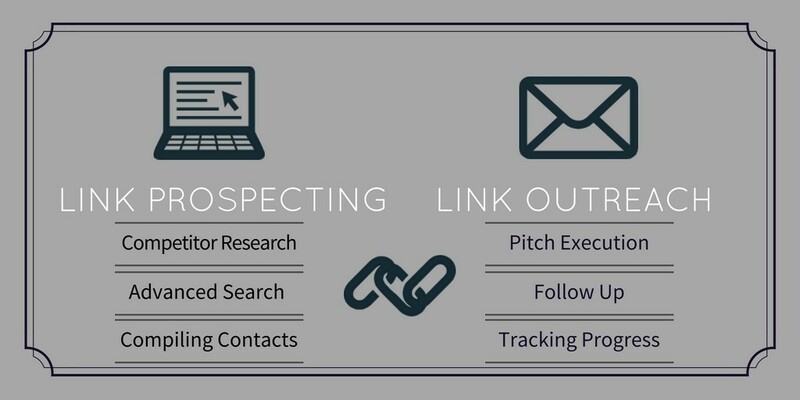 In the second phase, or outreach phase, outbound communication is sent to webmasters and stakeholders at the prospect's site (usually through email) using targeted outreach pitches, follow up correspondence and tracking of progress and results. 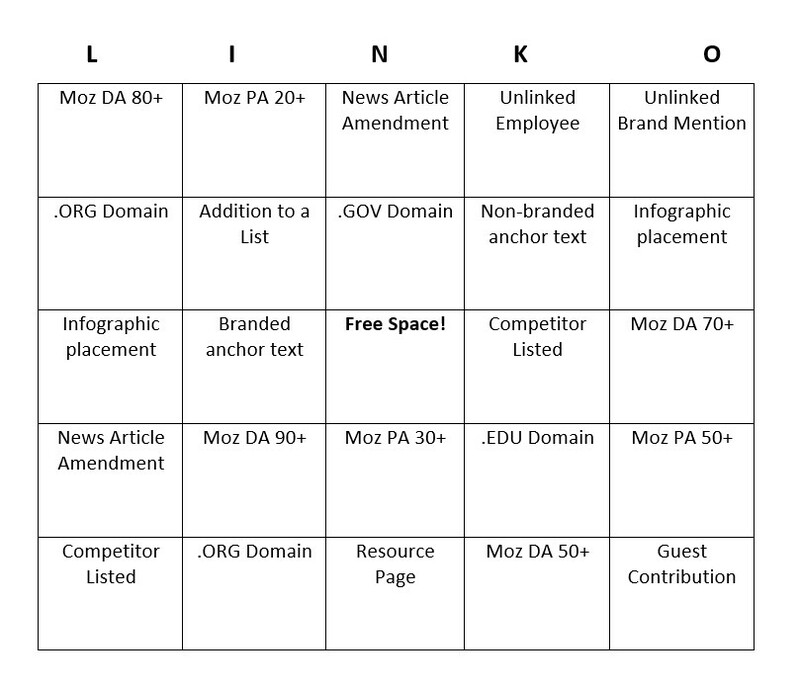 Given the above process, a link-builder has very little room for variation in their daily tasks. It's easy to get bored with the day-to-day. 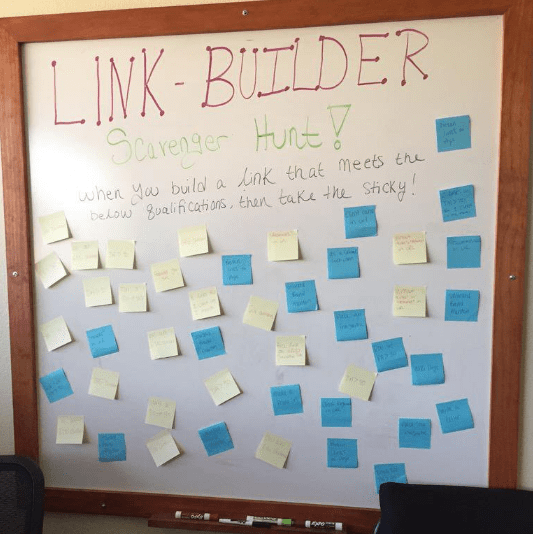 While the job of a link-builder isn't always thrilling, links are still one of the most essential components of SEO so it's a job that must be done. 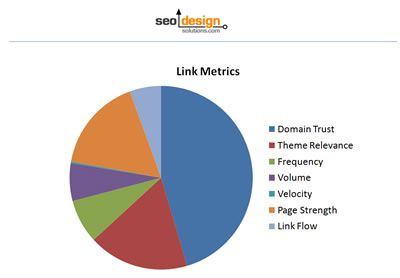 Team members with the skills to build quality links are incredible assets to your SEO team because they bridge the gap between content marketing and link development. They are on the front lines of your content promotion and distribution, and while most have thick skin, they are met with constant resistance from webmasters, and hear "no" far more than they hear yes each day that they come to work. That can wear any person down over time! Those who lead teams of link developers need to keep their teams motivated and engaged despite the harshness of the internet and the repetitive nature of the job. But, how? Add some friendly competition to a link development team by coordinating some month long games. Throw in some prizes like amazon gift cards, PTO or other perks and people will inevitably get into it. The below two games are great because they are not just link volume focused, but quality focused as well. Each time a player acquires a link that meets one of the metrics they can cross off that space until they reach LINKO! As you did for the Link-Bingo activity identify some quality metrics you'd like to focus on, and then write them down on sticky notes. Post all the sticky notes on your department's whiteboard or open wall space. As the team works encourage them to check the whiteboard for any quality criteria that they've met. Whenever team members acquire a link that meets quality criteria they take the corresponding sticky note. Whoever ends up with the most sticky notes at the end of the month wins! Not everyone responds well to fun and games. Some people just want cold hard cash for their time and efforts, and that's okay too. There are a couple commission or bonus structures you may want to consider for link developers. The first is a quantity based commission structure where each link is worth a certain bonus amount and link builders are commissioned based on the quantity of links acquired. This isn't a method I would recommend in 2016, instead consider quality based commissions. Basing commissions and bonuses off of quality based criteria helps to alleviate the risk of team members building links on less than desireable websites just to make a few extra bucks. You'll want to establish quality criteria and metrics and associate each quality benchmark with a dollar amount instead. Nothing is worse than feeling like you're stranded on an island all alone. This can happen in all types of teams, including link development. Getting together to brainstorm new ideas can help to cut back on feelings of isolation in the workplace and spark new ideas. Team meetings give the link developer a platform to share their ideas and help each other out. It also keeps you, the team lead, accountable for their growth and in the loop with issues they are facing along with team wins. You may want to look into new tools such as backlink checkers, chrome plugins or outlooks plugins that could make a difference in productivity. Each backlink checker comes with it's own unique features, metrics and strengths. It's common for team members to have a favorite. If you have budget for, or access to, multiple backlink checkers why limit them to only using only one? Ahrefs' content explorer can be great for competitive backlink mining, Majestic seems to pull the most indepth results and Link Research Tools is a must have for doing backlink analysis on a site to determine spam or toxicity levels. There are some great, and free, extensions out there that could help team members be more productive. Trying out new extensions and coming up with ways to make them a part of your process can also help take some monotony out of your day. Overall, keep an open mind, and tool box. Be flexible to the idea that what you've always used might not be what everyone else gets the most out of. It's tough to proactively come up with ways to keep things interesting on a link development team, but the above ideas allow team members to exercise creativity, collaborate and ultimately grow with your department rather than checking out. Have other great link-building motivational ideas? Feel free to share below, I'd love to hear them! 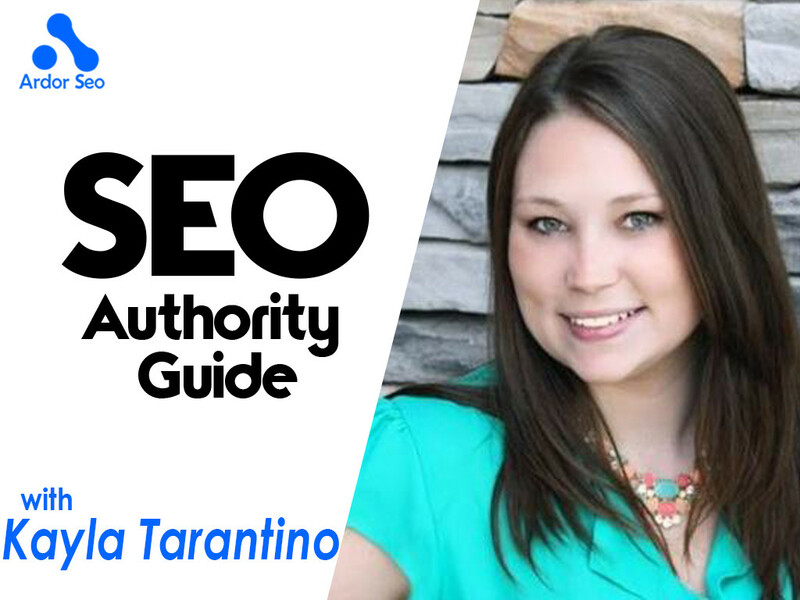 Kayla Tarantino works as the SEO Link Manager at Vertical Measures where she leads a team of link development specialists in their daily activities. Vertical Measures is an agency located in Phoenix, Arizona specializing in content marketing, search engine optimization, and pay-per-click advertising. Founded in 2006 by Arnie and Andi Kuenn, the agency has grown over the past ten years and has a team of 50 talented team members whose passions include driving profitable growth for their clients. 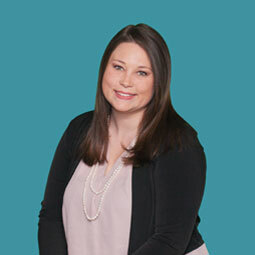 You can find Kayla on Twitter and LinkedIn. Make sure to visit Vertical Measures Twitter, LinkedIn and Facebook pages.